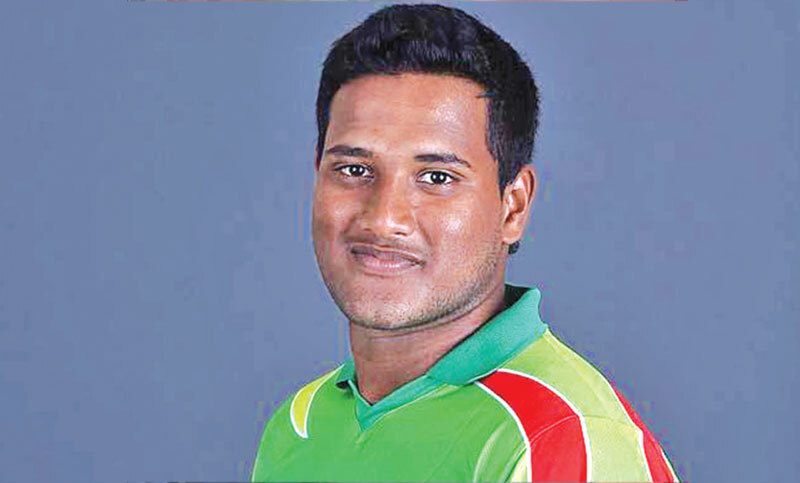 Brothers Union young batsman Yasir Ali was visibly disappointed as his century went in vain against Abahani Limited in Dhaka Premier Division Cricket League (DPL) on Thursday. But he certainly proved his credentials and showed why the national selectors opted to include him in the 30-member World Cup preliminary squad. Yasir is certainly the new-kid-on-the block since the last edition of Bangladesh Premier League where he managed to hog the spot light with some blazing batting that reflected he is the one for the future. However, Yasir does not want to live on his past achievement and would not like to believe he is just carrying the BPL form in the ongoing DPL. “Actually, it can’t be said (that I am carrying my BPL form),” said Yasir. “Cricket is a funny game but all I can tell is that I am trying to carry on with the good form with the grace of Allah,” he said. “Actually, it is very sad because when I score runs in a match all I hope is that the innings can serve the purpose of my team,” he said. When asked whether he was aware of the fact that national chief selector was present in the venue on Thursday watching him reach the three-digit mark, Yasir replied that he is not too concerned about being picked in WC preliminary squad and added that he is not trying to prove anything to anyone. “Actually, I don’t think much about this. When I go to the field, I just concentrate about my game. How to play well,” said Yasir. “These things create extra pressure. So, I try to play without keeping these things in mind,” he said. Yasir added that he was always confident that he can make a comeback following the accident that he had faced earlier as he was forced to be bed ridden for more than five months. “One thing was always working on my mind, if I could comeback, everything will be erased despite the big gap. I wanted to do that at any cost,” said Yasir. “As I said earlier, my parents had supported me a lot during that time. If I did not get that support from my family, I would not be standing here. Five or six months is a big gap. Everyone is not lucky enough to be able to perform after returning back after such a long break,” he concluded.